Travelling south of Surfers Paradise the flashing lights, loud noises, and brash people drop off considerably as you reach the quieter and more elegant Coolangatta. Mind you quieter does not mean less fun. 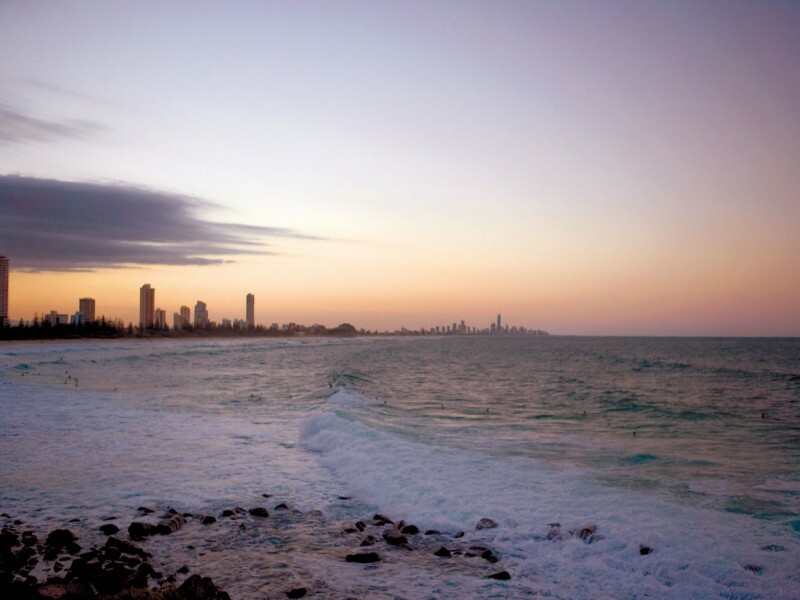 The coastline offers views back to the Surfers Paradise skyline that are simply breathtaking and sitting in front of these amazing views is some world class surf and a selection of golden sand beaches. You will also find a plethora of culinary delights, a myriad of stylish boutique shops, and a discreet sophistication that is often addictive. 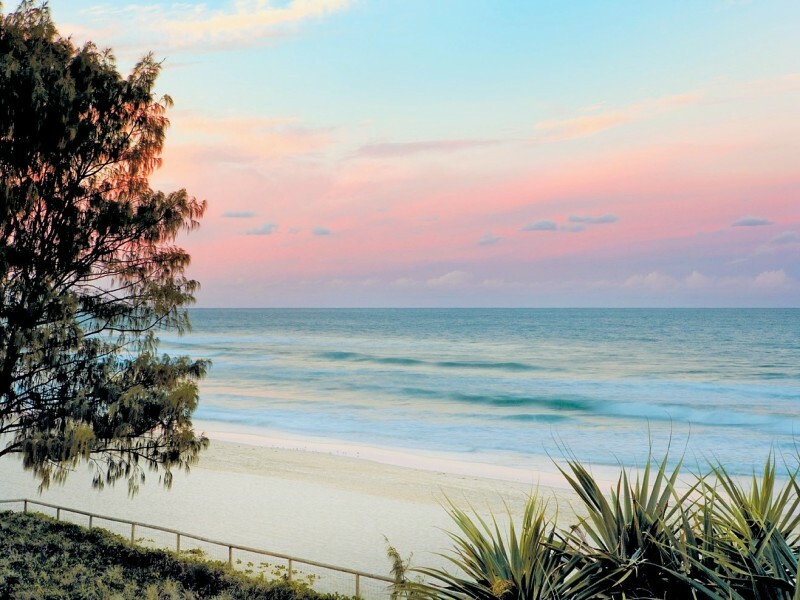 A town of many talents, Coolangatta is host to a variety of events as well as natural beauties that make it a destination in demand year-round. Coolangatta's famous super break attracts the internationally attended Quiksilver Pro, one of world’s largest surf events, and the first on the World Surf League calendar. To dabble in the auditory delights of the 50’s and 60’s, rock on down to Cooly Rocks On, Australia’s largest 50’s and 60’s rock festival that doubles as a hot rod and classic car show during May and June. Just like a fine wine, Coolangatta adventures need to be paired perfectly, not just any old dusty motel will do. 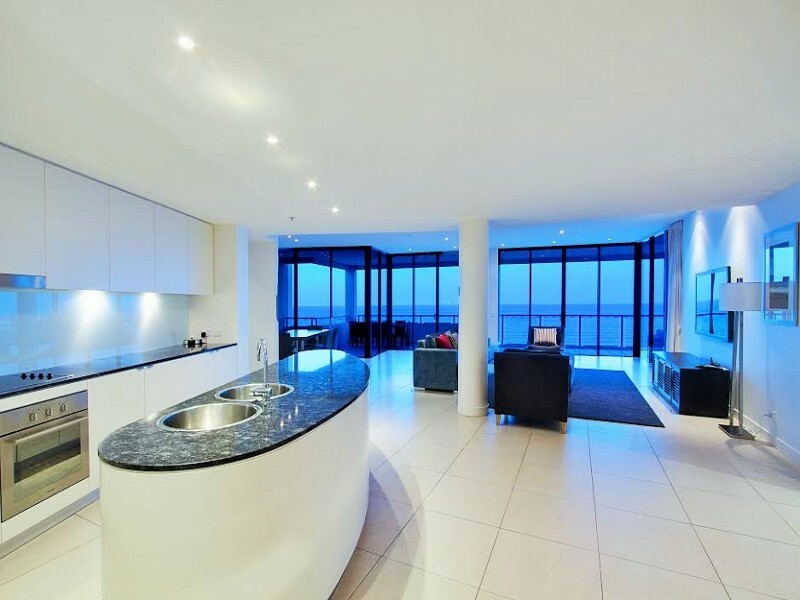 For a taste of luxury, a helping of waterfront views, a peppering of chic modern furnishings, and a large dash of spacious living look no further than The Sebel Coolangatta. Everything from the expansive marble reception desk to the generous use of space in every room of the apartments screams luxury. The Sebel Coolangatta is a stunning resort that provides excellent service, breathtaking views, and rooms to drool over, but it doesn’t stop there. It is also perfectly located in the centre of the action, so guests can have their cake and eat it too! Walk out the front door of the hotel to be greeted immediately by spectacular patrolled beaches, with dining, shopping, and more just a hop, skip, and jump away. The Sebel is the perfect Coolangatta base camp to get the most out of this beautiful Gold Coast region. Culinary delights such as The Black Sheep Espresso Baa, Molto Delizio, and Kirramisu Cafe and Restaurant are just around the corner, or for a local pleasure why not visit Café Dbar? Sitting atop the hill in Duranbah the quaint little café art gallery is often filled with locals enjoying light meals, chunky chips and milkshakes while appreciating the art, home wares, jewellery and sweeping views of the coastline. 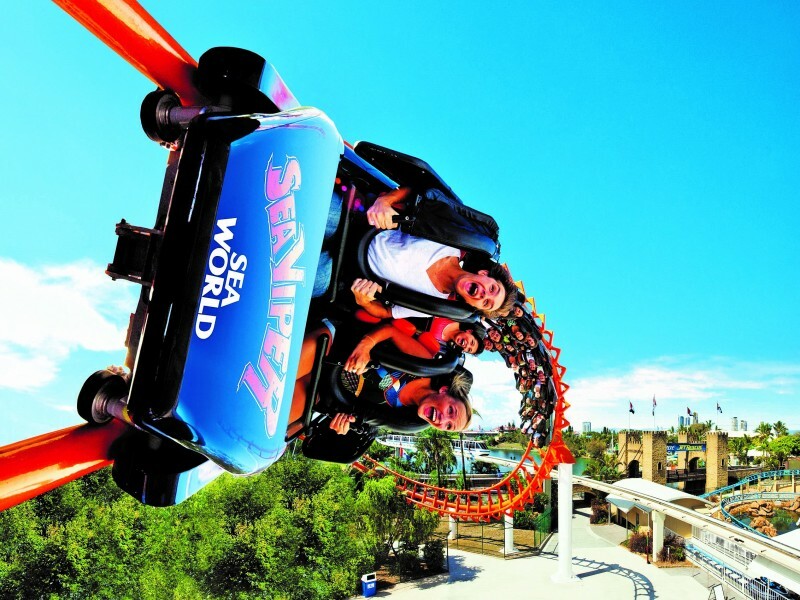 Enjoy the Gold Coast to its fullest and adventure north to the famous grouping of theme parks from the exciting and massive Dream World and Movie World to the splash-tacular Wet ‘n’ Wild and White Water World. Retail therapy can be found in bucket loads once you cross the moat to the fairy-tale-castle resembling Pacific Fair shopping centre. 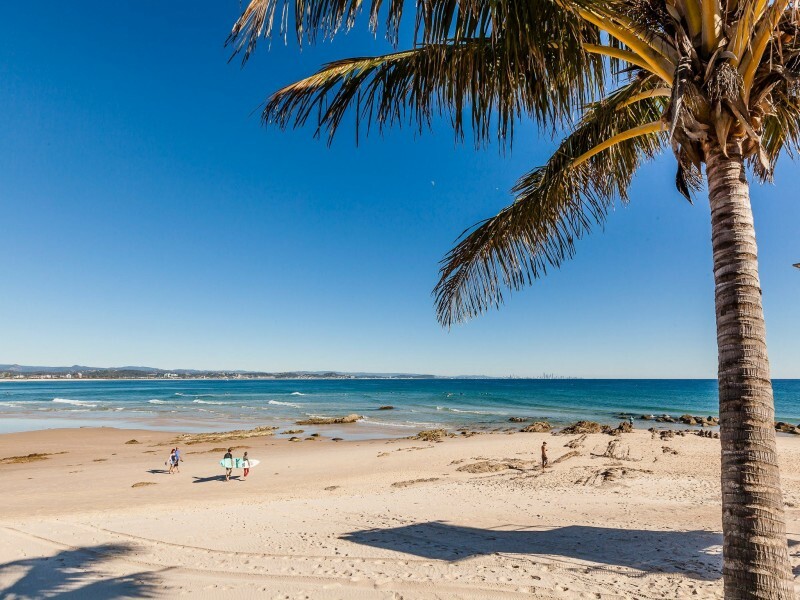 While local fun can be had at the renowned surf beaches of Duranbah, Kirra, and Snapper Rocks or for the only two north facing beaches of the Gold Coast visit Greenmount or Rainbow Bay these beaches are sheltered and therefore ideal for swimming, especially for families with small children. 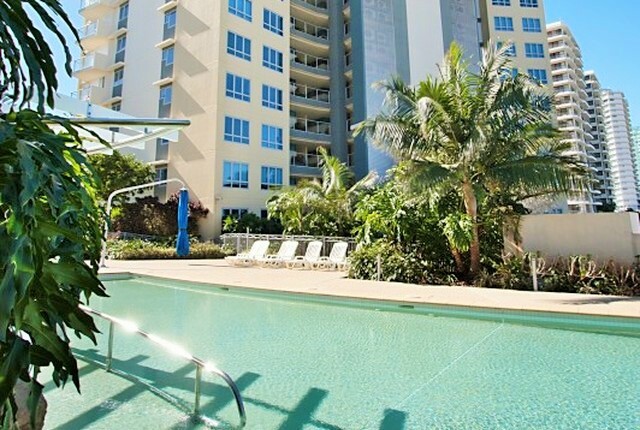 Each of these adventures is just a short drive or walk from The Sebel Coolangatta. Our Hightide Hot Tip is to ensure you save some time to truly appreciate the indulgence of the resort, soak up some sun and beautiful coastline views by the lagoon pool in a comfy lounge chair. Complimentary parking, foxtel, and air-conditioning are all constituent elements of your stay with The Sebel Coolangatta, as is access to the heated lagoon pool, sauna, spa, gym, and continental barbeque area that is perfect for family picnics with a backdrop of seemingly endless beaches. - Spend at least one afternoon barbequing or picnicking by the lagoon. - Walk over to the supermarket and stock up. - Sleeping with the apartment windows open and listening to the waves is very calming. The Sebel offers guests a choice between one, two, and three bedroom apartments the latter of which can accommodate up to seven guests. 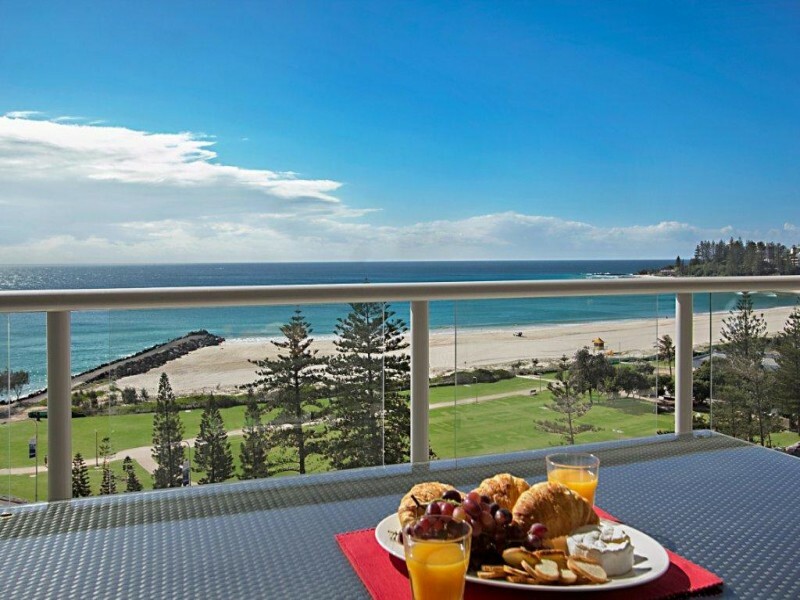 For the ultimate Coolangatta experience in high-end luxury speak to your own personal holiday consultant at Hightide today for the hottest deals on your next Gold Coast getaway.